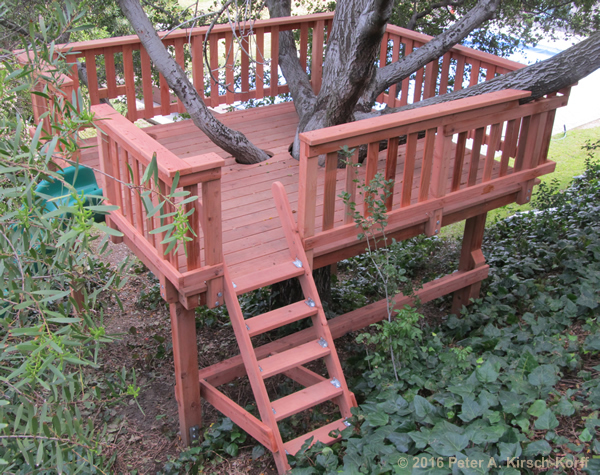 Showing access ladder to deck and how it overlooks but is somewhat hidden from the rest of the back yard for privacy. 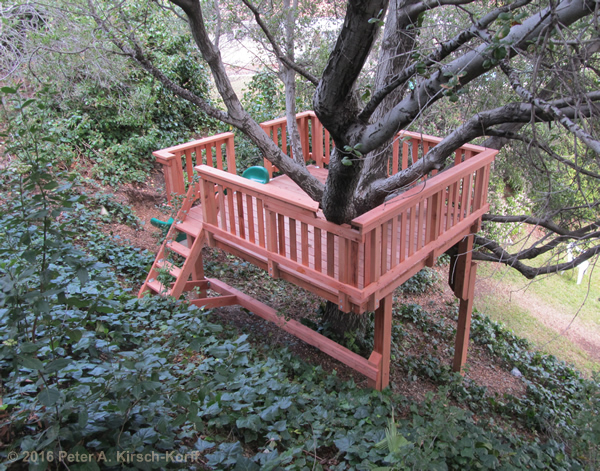 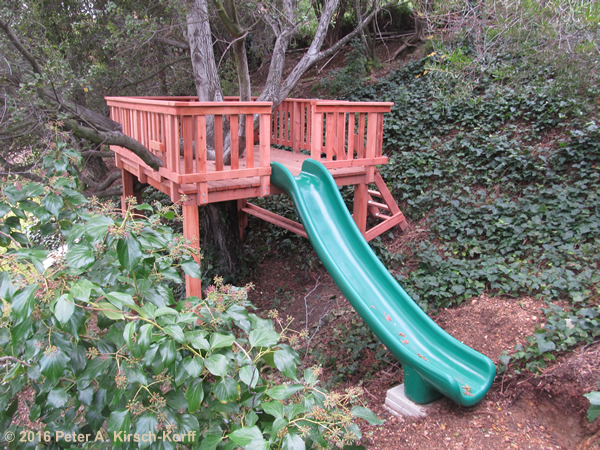 View of play deck from above showing slope of the hillside and how to make use of a steep hillside for a tree house or entertaining space. 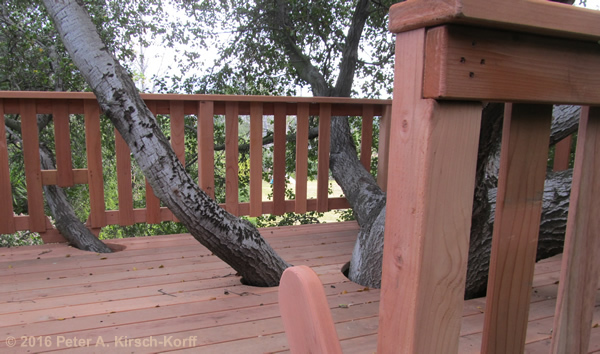 View from the top of the ladder showing living tree cutouts for growth.